LS SERIES | ELEPON Corporation. Especially effective against water containing sewage, scum, suspended matter and oily water. Also, it is resistant to chattering and rust. 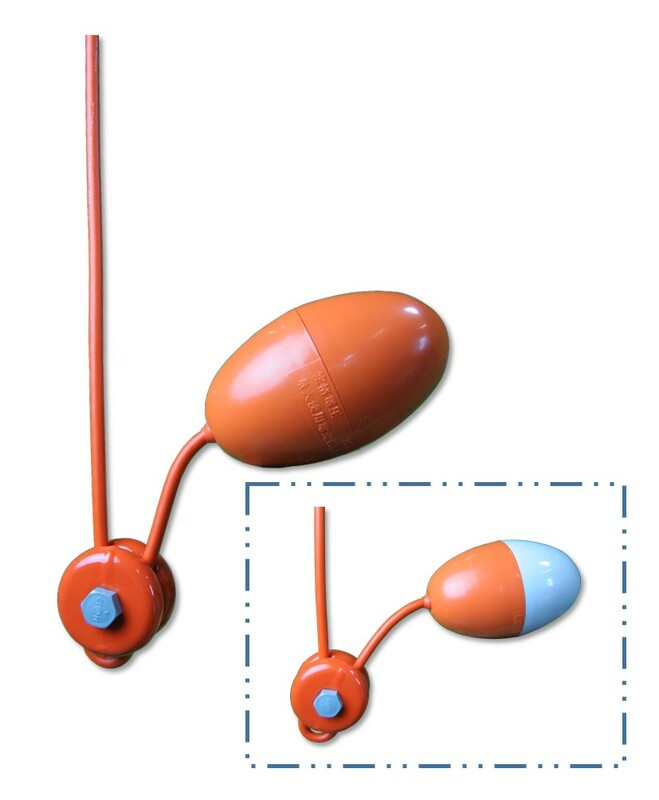 Since the moving parts are sealed in separate molded case provided in the float, the action and function of the switch will not be affected by accidental entry of water. Oil-resistant, special, soft PVC cable is used for the cable, and the end of the cable is drip-proofed. Connections to the functional section and the mold case are completely integrated. A balance weight is equipped at the end of the float so that a more accurate operating point can be obtained. Since the floating material in the float functions as a shock absorber, resistance to impact is outstanding.